Instagram’s announcement about reaching 400 million users was a wake-up call for many of the social platform’s users, especially those who discredited the business potential of the network. Yet many remain blind to the potential that Instagram can deliver for brand awareness and business growth. The goal of this post is to give you concise insight about how to turn your Instagram marketing efforts into a revenue-generating venture. We’ll explore content quality, organic growth techniques, how to use sponsored content to your advantage and how analytics can boost user engagement. There are 90M+ photos being uploaded each day onto Instagram, which people like close to 4 billion times. The fact that Instagram relies so heavily on visual content is also the main reason why industries such as auto, sports, luxury and fashion are so reliant on the platform to generate direct product exposure. With this in mind, our first lesson to grasp is that the quality of photos on Instagram matters, and can be the breaking point for attracting customers, or scaring them away. The main aspect to emphasize in your Instagram photo-strategy is the quality of your photos — this comes in two different forms. First you must use the appropriate resolution for your photos. Second, you must decide the style of photos you’re going to be using: organic, or professional. There is a big difference between an organic photograph, and a retouched professional photo. Tiffany Kim from BuzzFeed finds the whole situation hilarious, and shares her thoughts on Hipster-driven Instagram photos. And while the humour is satire, there is a huge number of Instagram users who enjoy sharing those type of photos. The two best places for understanding how photo quality influences user engagement are going to be: the Instagram Inspiration library, and the people you already follow. Find a popular profile you follow, grab a piece of paper and a pen, and begin writing down what makes their profile stand out from others. Instagram’s launch of the advertising platform was an instantaneous success, with hundreds of thousands of advertisers already harvesting the potential of product promotion, application exposure, and general brand awareness structuring. Facebook made an advantageous decision when it acquired Instagram — now the most popular social photo sharing platform. 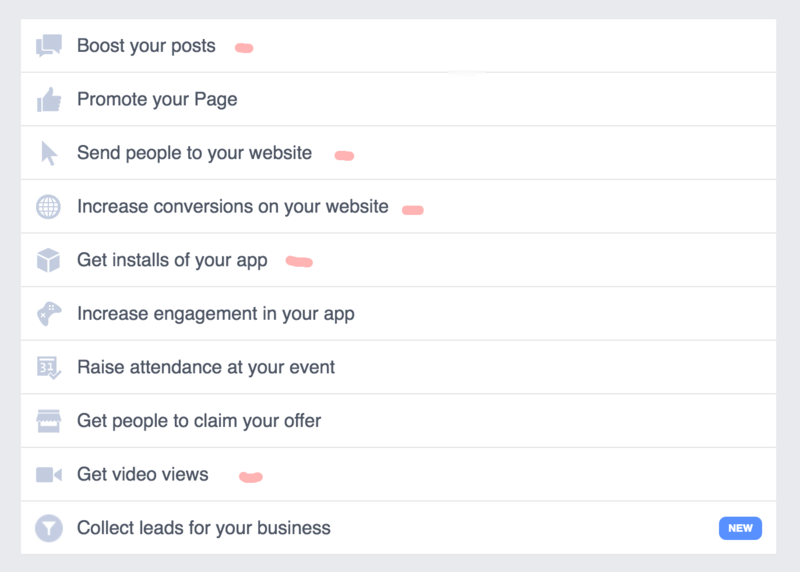 To publish ads on the Facebook-owned social network, you will need to use the Facebook Ads Manager. The Facebook Ad creation process is straightforward, with thorough explanations with each step. But Instagram, like any other native advertising platform, is not an exception to testing and experimentation. Although many different Ad Type options are available, you are in charge of testing and optimizing your ads for optimal performance. To maximize your potential and exposure, experiment with text and photo combinations that offer different taste of what you have to promote. Facebook audiences are more diverse, with a large pool of users being desktop users. Instagram, on the other hand, is 99% mobile users, and recent reports indicate that Instagram is very closely tied with Facebook for its costs of mobile app installs, in some cases actually being the better choice. Selling and promoting on Instagram doesn’t always have to be about money. Some of the most creative and inspirational Instagram users became successful not through their monetary investment, but through their investment of artistically-driven behaviour that led to finding the right community for their visual expressions. Instagram is all about communities. Hashtags, individuals, and the search function. The most organic way of selling on Instagram is through building a community of followers who actively engage your content. This process is much more complex, as it requires a much deeper understanding of what users like. To begin the process of building a community of your own, it helps to explore and understand what other successful Instagram users are doing already. To do this, we can use Instagram Search to explore users and hashtags. A simple search for the term “blogging” returns hundreds of hashtags and user profiles that rank above everyone else. Gather a couple of profiles from these search results, and begin researching what their style of publishing is, what kind of hashtags and descriptions they use, what’s the main theme of their posts, and how they engage their followers. All this adds up to a clear picture of what makes these profiles successful. The more profiles you analyze, the clearer the picture becomes. Of course, building a community takes a long time. That’s why you should first accept the fact that building a community of followers will take some dedication and patience, while consistent work paying off eventually. Growth doesn’t end there, though. You will want to make sure that anyone who actively engages with your Instagram profile is also receiving the same treatment back. Learn about your users and find out what they like the most — this will be a one-way ticket to a successful profile in the future. To sum up the above paragraphs, here is a collection of seven content creation tips for Instagram! Voice — Create a voice for your Instagram profile that people will be able to use in relation to what your business does, and how it helps to improve your customers’ lives. Content Diversity — Create a consistent content calendar, spice things up with authentic and unique content themes and follow the content diversity trend to keep your community engaged and entertained. Be Spontaneous — Instagram profiles that focus too much on the professional side of things can get boring, or as Instagram users would say: figured out. Be original with your brand identity, and share with your users things that they wouldn’t expect to see. Instagramifcation — Instagram provides its users with a number of tools to enhance photo quality and appearance. Use them to make your content look more Instagram-like. Caption — The description of each of the posts that you share is the ultimate goldmine for attracting engagement, leads and discussion. Write relevant hashtags, ask questions and promote yourself. Just remember to be polite, and within limits. Be Open — Whenever you are touring the world, or otherwise out of the normal routine, tell your followers where you are and perhaps meet up with them for a potential free marketing boost. Instagram also has a feature called Add People for tagging users when you are together. Consistency — The best Instagram profiles share anywhere from 1 to 3 pictures every day. Using an analytics platform can help to understand what is the best time to post on Instagram. Slight changes and adjustments can make all the difference for your brand growth. Spend some time understanding the mindset of Instagram users. Once you start to feel more comfortable with regular user engagement, you can begin to experiment with promoting your products, offers and other business related facets. A more dynamic and personal way of getting exposure on Instagram, and ultimately generating sales, is through reaching out to popular Instagram users and offering them a financial reward for publishing an offer on your behalf. This is also known as sponsored content. Popular Instagram accounts tend to add a snippet to their profile description called “Business” or “Brand Contact.” This is email address that you can use to reach out for a possible collaboration of a sponsored Instagram post. Sponsored content from other Instagram users can save you a great deal of time if you’re looking to generate quick sales for a particular project or idea. You also need to decide on whether you want to promote your Instagram profile, a website or a landing page. When that is said and done, create an engaging Instagram post in line with the user who’s doing the promotion for you. Technically, you want to be engaging the audience of the user you are paying to promote you. The most important thing about sponsored content of this type is to be diligent in monitoring the money you’re spending and the amount you’re making back. You can try to purchase some sponsored content slots that would only be posted for a few hours, instead of permanently. This could bring the cost down significantly, but still reach a solid base of users. Engagement leads to sales, so you want to understand how and why users interact with your Instagram profile. The best way to do this is through using third-party analytics tools, built for the purpose of analyzing and creating structure data reports for your Instagram profile. How do Instagram analytics boost engagement? Audience measurement — Learn about new followers and people who unfollow you. Find out the age and geo-location of your followers. Community influence — Analyze each of your hashtags individually. Learn about the most engaging content and the most influential contributors in your network. You can even combine these analytics platforms with Facebook Ads to gain deeper understanding of your advertising campaigns. Content performance — Having access to in-depth analytics about your content allows you to better prepare content for the future. Find out the best time to share posts and create content based on the appeal of previously-published content. For serious brands and businesses who want to maximize the Instagram growth potential for their business, understanding users and content performance are the two most important metrics to pay attention to. That also ties together everything else we’ve learned in this roundup of the best Instagram sales tips. Good luck with growing your own Instagram community!